This easy-to-use modeling material provides a gluten-free alternative to wheat paste. It mixes easily with cold water to form a paste that's great for papier mâché or any paper and paste project. 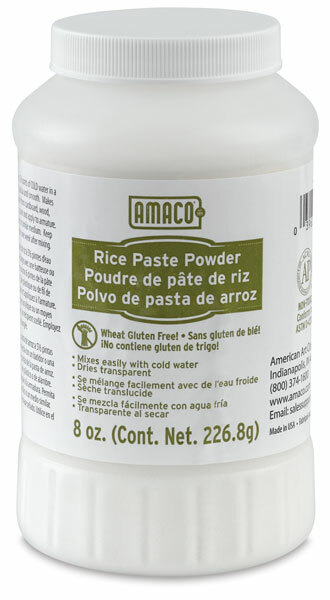 3 lb Box — makes approximately four gallons (15 L) of paste. 8 oz Jar — makes approximately six pints (2.8 L) of paste.